Good Morning Wonderful Readers! Today is another Monday to Make it Happen! This morning we are here to remind you all that all things take time. Most often, the more time you put into something the more you profit. 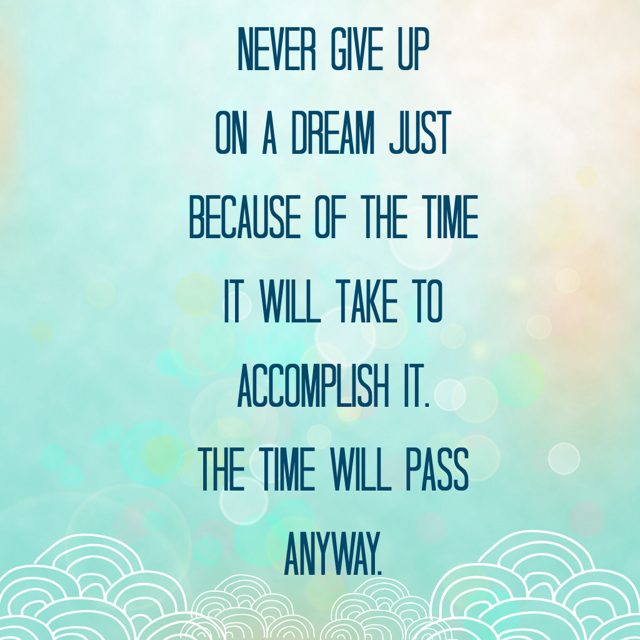 Never end your goals prematurely because of the time commitment attached to it. Also, do not be passive with your time, be active instead. Remaining diligent with your time will create more valuable outcomes. Whatever you are trying to accomplish let time nurture your goals rather than hinder them. Remember: The time will pass anyway.